Honicel Expander/Dryers are state of the art and technologically most advanced paper honeycomb expanding and drying machines. 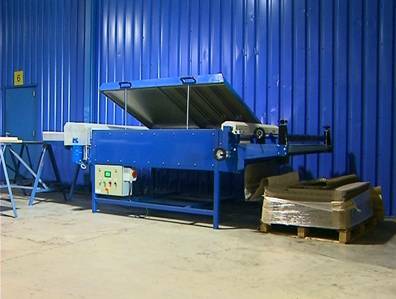 Honicel Expander/Dryers are developed and built to ensure optimal processing of paper honeycomb for any application. 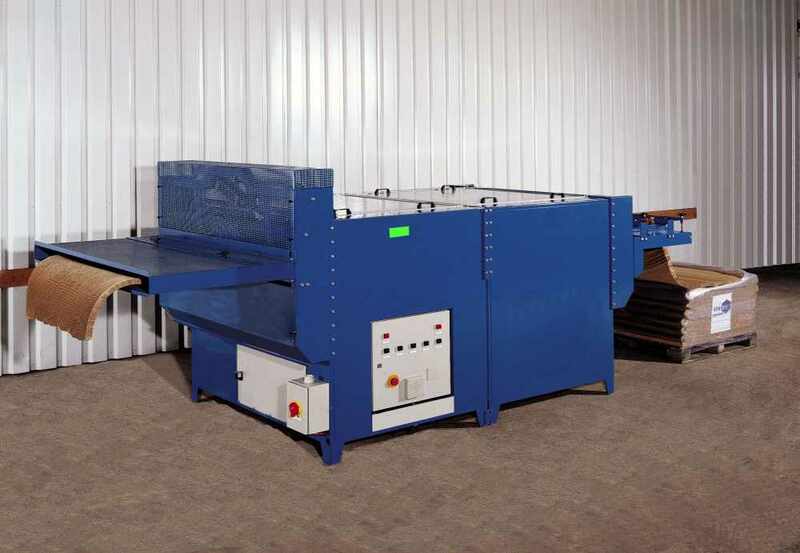 Honicel Expander/Dryers are complementary to Honicel paper honeycomb as it stretches the compact (closed shaped) paper honeycomb to an optimal hexagonal cell shape, dries the paper honeycomb and cut it at setting length. The use of Honicel Expander/Dryers will result in uniform paper honeycomb cores with optimal pressure strength for immediate further processing. The DEX III expander/dryer has been developed for low/medium-volume output manufacturing processes and has an adjustable capacity of 0.6 m - 4.5 m/min. The relative small dimensions of the DEX III needs little space and offer the advantages of expanded and dried paper honeycomb. The DEX III is equipped with 9 electric heater elements and has a calibrating unit, a dividing unit and an automatic set-to-length cutting knife as an option. The Honicel EDOK expander/dryer has been developed for high-volume output manufacturing processes with capacities of 5 m - 25 m/min which corresponds with 4.5 sqm- 22.5 sqm/min. of paper honeycomb. The Honicel EDOK expander/dryer has a sectional based design which can be extended modular-wise to increase its performance and can be heated by means of heating elements for electricity, hot water, steam or thermal oil, depending on available facilities and costs of energy. The Honicel EDOK expander/dryer is equipped with a fully automated cutting device which cuts the expanded and dried paper honeycomb at a pre-adjusted size. 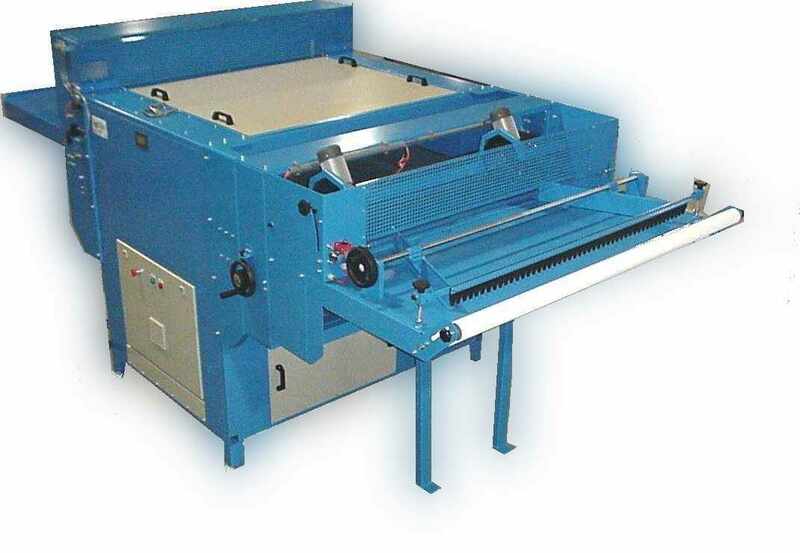 Dividing knives which cut the expanded and dried paper honeycomb in linear direction are optional features for the Honicel DEX III expander/dryer. The dividing unit can be equipped with a maximum of 3 dividing knives. Adjustable calibrating rollers, which eliminate the height- or thickness tolerance of expanded and dried paper honeycomb, provide a better bonding surface. The calibrating unit has a scope from 8 to 90 mm. Complementary to the standard models of expanding & drying equipment, Honicel also develops and manufactures expanding & drying equipment based upon customers specific required specifications.